Brush the filet mignon on all sides with some olive oil. Sprinkle with a dash of pepper and salt to flavor. 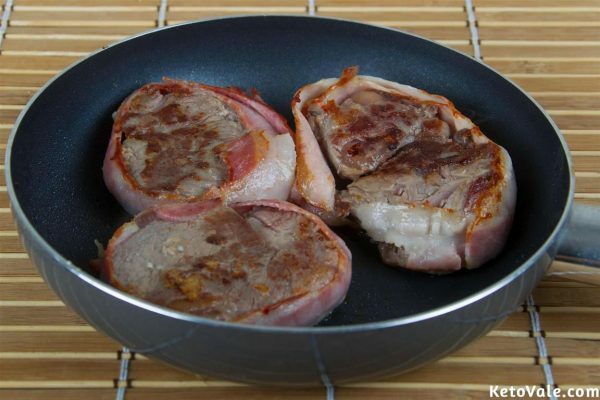 Prepare your bacon strips and drape them around each beef. Hold the wrap securely with a toothpick. Pan sear the meat in heated olive oil for about 1-2 minutes per side. Let it brown without stirring the meat. Place the pan inside the oven preheated to 420°F. Leave to bake for 5-8 minutes. 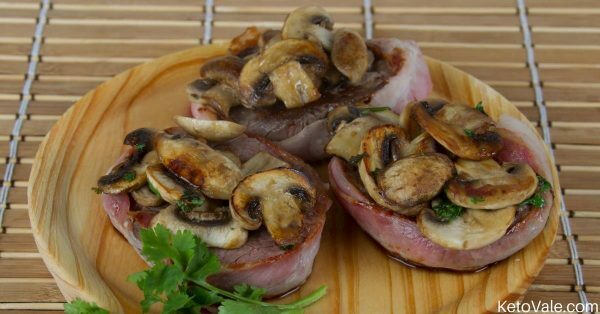 Baking time may depend on the thickness of the filet mignon and how cooked you want the beef to be. Meanwhile, sauté the garlic and mushroom on melted butter in a pan. Leave for 2 minutes until tender. Put in a plate until ready to serve. 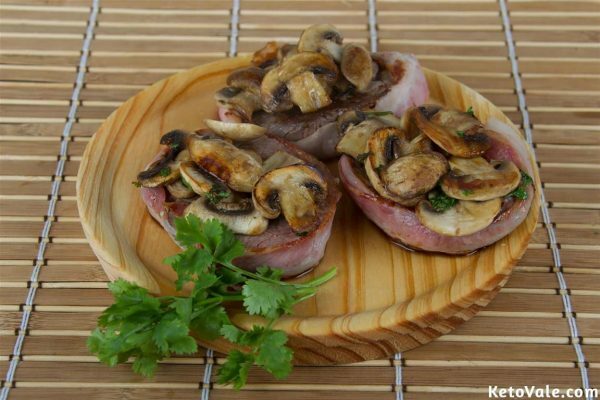 Spread the mushroom over the cooked beef. Serve in a platter and enjoy.